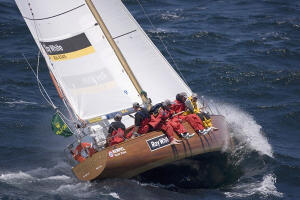 At 09.34.14 AEDT Bob Oatley’s, Reichel/Pugh designed, 30m (98-foot) supermaxi Wild Oats XI crossed the Hobart finish line at the end of the 2008 Rolex Sydney Hobart, to take line honours in the 64th edition of the 628 nautical-mile race. 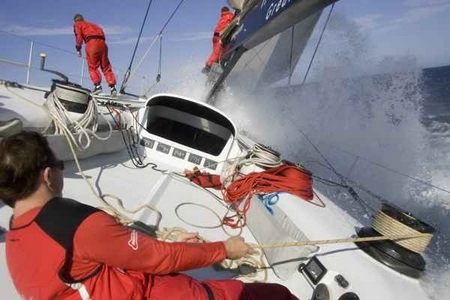 This is Wild Oats XI’s fourth straight line honours victory. 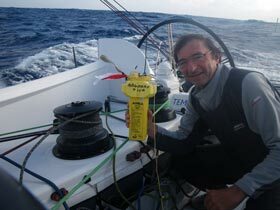 – After suffering a major knock-down in 60 knots yesterday on the 48th day of the Vendée Globe, Sébastien Josse is now nursing BT north to reach calmer conditions to fully assess the rudder system and structural damage. – Sébastien estimates it will take another 10-12 hours before conditions will have eased enough and it is safe to carry out the assessment. As the two canting-keeled maxis Wild Oats XI (Bob Oatley) and Skandia (Grant Wharington) swapped the lead overnight as the Rolex Sydney Hobart pace slowed with the nor’easter fading along the south coast of New South Wales, drama was unfolding further back in the fleet. The crew of the Farr 53 Georgia, owned by Rolex Sydney Hobart veterans John Williams and Graeme Ainley, had to abandon the yacht in a sinking condition after she broke her rudder and rapidly took on water through the rudder shaft last night. Les Quarantièmes Rugissants sont fidèles à leur réputation. 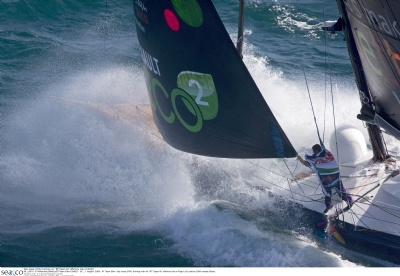 Les conditions météo actuelles très musclées mettent à mal la flotte du Vendée Globe. Dernière victime, le monocoque de Sébastien Josse s’est fait couché sur l’eau à plus de 110° pendant plusieurs minutes avant de se redresser. Partis des Kerguelen le 17 décembre dernier, Dominique et Temenos II touchent au but. Joint à la mi-journée, à un peu plus de 24h de l’arrivée, le skipper s’apprêtait à se lancer dans un dernier empannage qui devait lui permettre de faire route directe en direction de Fremantle où il est donc attendu dès demain par son équipe technique. 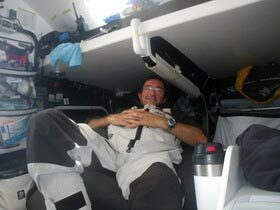 The BT shore team received a call from skipper Sébastien Josse today at 11:47 GMT, reporting having been knocked down by the raging seas generated by the storm the leaders have been negotiating overnight. 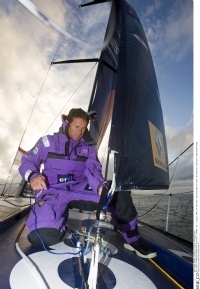 Sébastien, whose position was approximately 47º37′ S – 159º14′ W (approx. 1000 miles ESE of Wellington, NZ) at the moment of the incident, is safe and sound and does not require any outside! assistance. 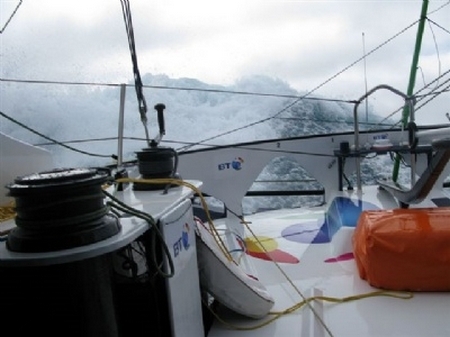 Last night in a 60 knot squall, the BT IMOCA 60 was knocked down by a large breaking wave. 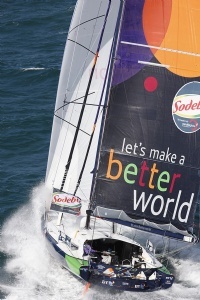 The boat was pinned down on her side, with the top of the mast under the water, for several minutes before coming back upright, causing damage that Sébastien will assess as soon as daylight will allow him to (approx 15:30 GMT).